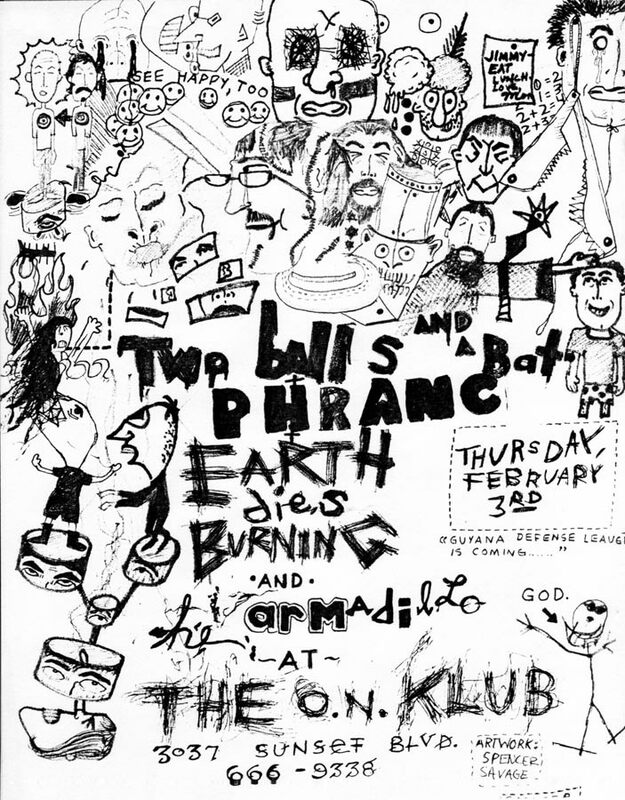 Nice flyer (designed by Spencer Savage), but our performance was canceled when we got there and they saw how young we were… only time that happened to us. 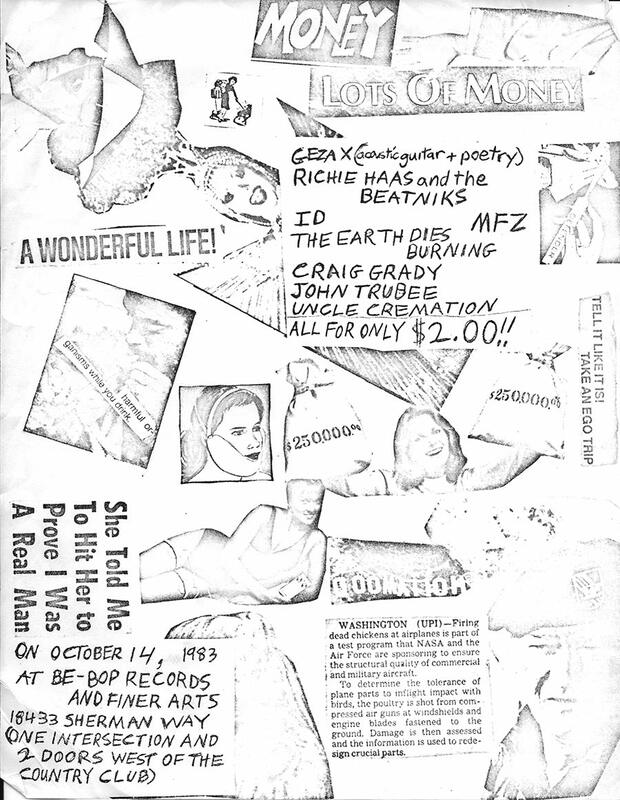 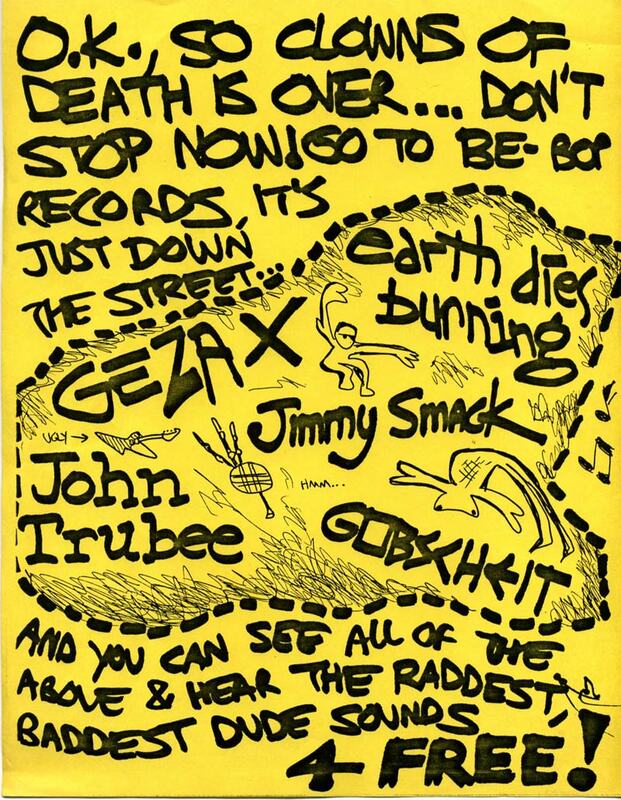 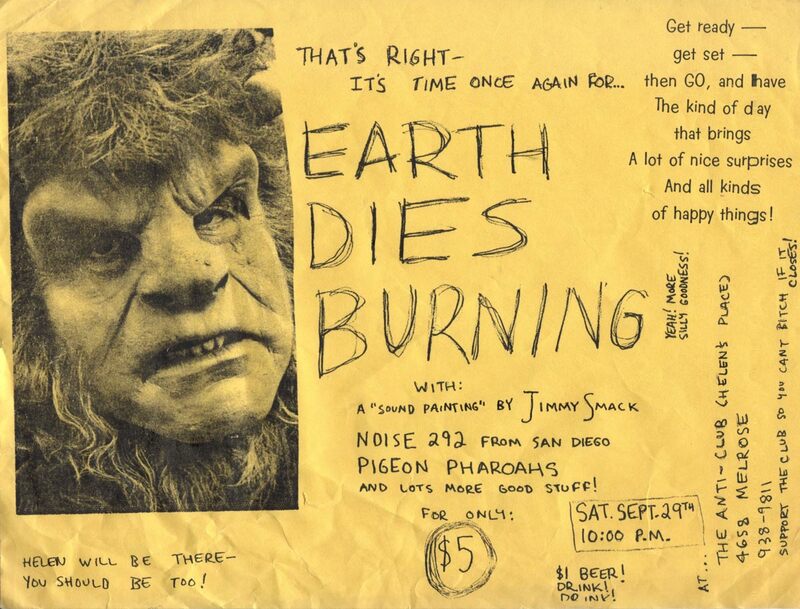 This flyer was most likely designed by Rich Bruland, co-owner of Bebop Records & Fine Art. 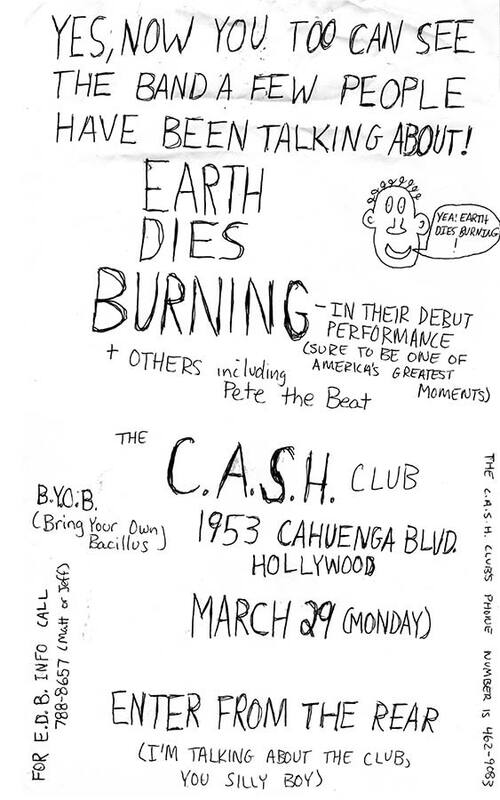 Bebop was located down the street from the Country Club (maybe it was called Rissmiller’s by then), so probably the Clowns of Death were playing there… Nice try, but probably not a large overlap in audience.